La Gloria CubanaThere are 1 product. 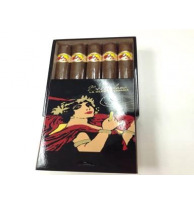 La Gloria Cubana has been introducing some fine small batch blends. Made in the Dominican Republic, they have long been a favorite of lovers of the leaf.